BZA was very pleased to be selected to develop a new WordPress web site for Dr Majewski at majewskidental.com. 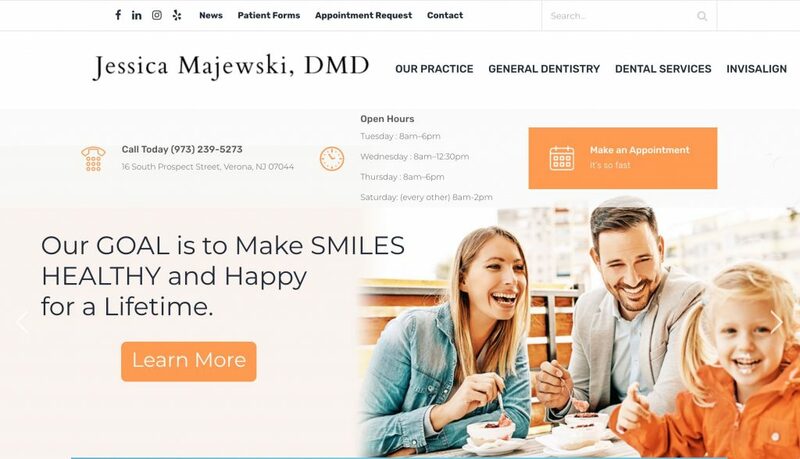 Dr Majewski just opened a new practice in Verona New Jersey and wanted her site to be simple in design but with comprehensive content, detailing the various services the practice offers. We worked with Dr. Majewski on a content strategy and outline before we started designing the site. As a new practice, it was important to build a site that was search engine friendly and targeted to her Essex County New Jersey practice location. The site features an appointment request form, downloadable patient forms and a news blog. Visit the site at majewskidental.com. I had a great experience working with Barbara and her team at BZA to create my dental office’s website. They made the process very easy and straightforward. We’ve had a lot of traffic to my site since it’s been launched and it has helped bring new patients into our practice. Many patients have told me they found our practice from simple Google searches. I also had an excellent tutorial on how I can make posts, edits and add images to the web site. Overall, my experience with BZA was exceptional. Plugins are not a “set it and forget it”. A typical WordPress web site has six to ten plugins installed. In order to keep your site running with minimal downtime, your plugins should be updated as the plugin developers release new versions. Updates typically include security fixes that reduce a site’s vulnerability to hacks. Out of date plugins can become incompatible with WordPress themes and WordPress updates. This can cause errors in your site. Plugin version updates not only include new features, but also fix known bugs. View the New Version Detail from your dashboard so you know exactly what’s included in the update. Update one plugin at a time. Test the site to insure everything is working before updating the next plugin. Perform updates during non-prime time. Security related updates should be performed first. If a plugin is old and has not been updated by the developer in a very long time, then you can assume the plugin might have issues as WordPress is updated. It’s best to search out a newer plugin with the same functionality. If you want to protect your site and insure it runs at optimal performance, WordPress plugins, themes and WordPress should be fully updated at all times. When done correctly, a simple contact form that captures your visitors interests can turn into one of the most valuable pages of your website. The contact form, also known as an inquiry form, is designed to capture the interest of your visitor and will allow you to prioritize and research the lead once you get the form information. Most out-of-the-box contact forms have just a few fields and lack compelling information to encourage the visitor to complete the form. As a best practice the contact form should linked on the main navigation. It should not be buried as a sub-menu item under the About Us page or any other page. Most importantly, it should be linked with an action button from your main services or product pages. The benefit being, while the visitor is on a page of interest, they are visually encouraged to go to the contact page. I hear many clients claim “no one will ever fill out a form”. That is totally untrue. We live in a 24 x 7 world, and prospects, at all hours of the day, what to check that one item off their list. That item might be inquiring about your products or services. Provide at least one introductory sentence to the form. Tell your visitor why they should complete the form and what is the benefit to them. Reassure them the form is quick and easy to complete and information will not be shared. Ask the most important qualifying questions; Name, title, company, email, phone, website, area of interest, timeframe and budget. These important fields should be required and not optional. Don’t bother asking how they heard about your company. Don’t include too many open ended questions, where the user has to type an answer. 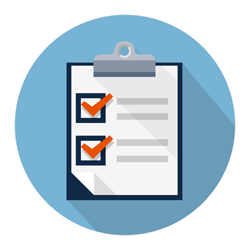 Utilize drop-down choices or radio buttons to speed the form completion process. Keep your form to 10 fields or less. Generate a friendly Thank You page that will tell the visitor when you will be getting back to them. You can easily set up Google Conversion Tracking on your contact form within your Google Analytics. This will allow you to measure how many forms have been completed and the source of the visitor. If you are using a Customer Relationship Management (CRM) System to track leads and sales activity, the form results can be integrated into the CMS. Web-to-Lead forms efficiently simplify the process of capturing visitor information from your website and getting it directly into your CRM system. This insures accuracy of lead information, speedy follow-up and eliminates having to re-keystroke lead information. Good design along with careful selection of the form fields can make a big difference both to the user experience and your company’s bottom line. Original article authored by Barbara Zaccone was published in the Summer 2016 Issue of the New Jersey Association of Women Business Owners (NJAWBO) Bottom Line Newsletter. Visitors abandon websites for any number of reasons, including poor design, outdated content, crazy colors, poor quality images, images that don’t relate to the message, and of course, content (messaging) that has visitors guessing about what your company offers. 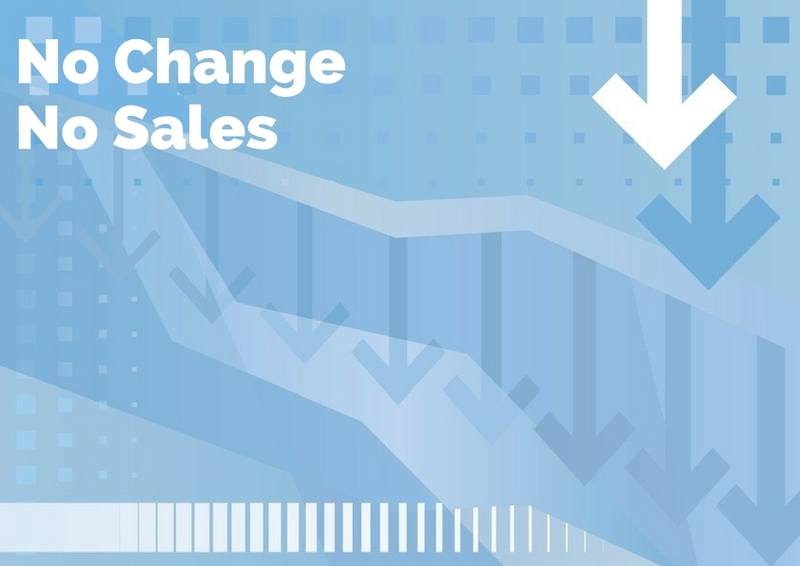 The list goes on and on—but to keep things simple, let’s focus on the top four telltale signs that your website is hurting your sales. Let’s start with the most basic question: How old is your website? If it’s five years or older, you’ve already crossed over into the “my site is hurting my business” zone. So much has changed in five years. Just think of the cell phone you were using five years ago (hint: slide out keyboard or Blackberry). 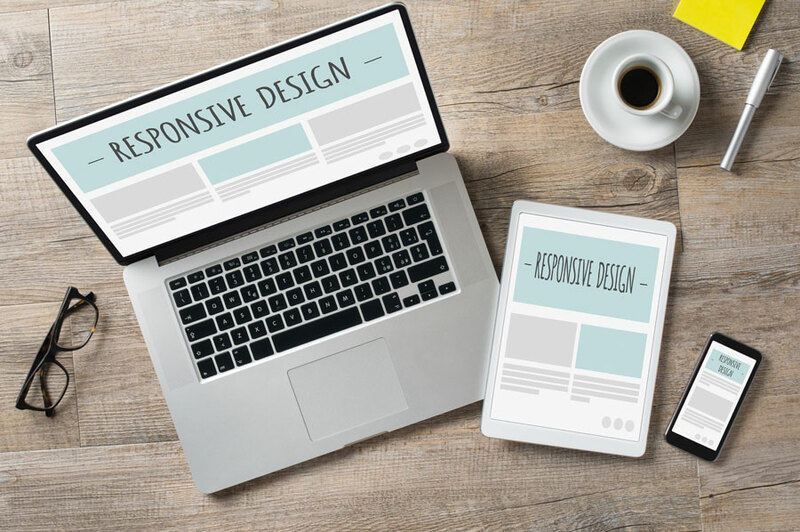 Besides, in April 2015, because of a strong mobile marketplace, Google announced that search results on mobile devices would favor mobile friendly websites. Now mobile friendly websites are getting the attention they deserve. If you are not sure if your site is mobile friendly, give it the ole Google mobile friendly test. THE FIX: Build a new website and make sure it’s mobile friendly. lots of text, side bars, sliders with buttons, and way too many choices—this is a sign of an old and cluttered website. Because too many choices confuse visitors, they’ll hit the back button. Today’s style is modern, clean, and uncluttered. Large meaningful images should complement the content. For easier home page navigation, cut down on the number of tabs and choices. Today’s sites are lean and mean, and the eye is always drawn to a clear CALL TO ACTION. THE FIX: For a cost-effective and professional design, you can choose from hundreds of popular WordPress premium themes. A theme can be customized by a professional developer, giving you a site that is true to your brand. THE FIX: At a bare minimum you should have a company LinkedIn profile. Then, depending on your audience, pick one or two other platforms. Top choices include Facebook, Twitter, Pintrest, and Instagram. Go narrow and go deep. Imagine what a professional, lean, clean, and mobile friendly website can do to add credibility to your organization and showcase your capabilities. A different user experience could get that phone ringing. There’s no better time then NOW to get started. What is Wrong with the PowerBall Website? Everything. You would think that with over a Billion dollars in the kitty, PowerBall.com web site would have a modern look and feel along with a few bells and whistles. But this web site is stuck back in the 2010. You might not think that is not very old, but just think of the cell phone you had five years ago. The powerball.com web site goes against every best practice rule for web site design. The site is not mobile friendly. It is unimaginable that a site this popular is not optimized for mobile devices and only shows a desktop version. Quoted from their website “Powerball.com is best viewed by Microsoft Internet Explorer or Mozilla Firefox using a screen resolution of 800 x 600 or higher.” What about Google Chrome? Remember the days of splash pages? To get to the web site home page you have to click through a splash page. That is so very 1999. What about scrolling text. Back in 90’s, to get a message across you would use scrolling text. Well you can find that today on the powerball.com web site. With some many options that grab user attention like video, engaging graphics and transition sliders, there is NO reason to use scrolling text. Confusing user interface. A good website design provides concise information and guides the visitors through intuitive navigation. The powerball.com web site is all over the place. The visitor is blinded by so many options, it’s enough to give you a headache. Lack of hierarchical navigation for ease of access to information. The powerball.com home page center section contains a series of 12 equal size boxes. What’s important? What’s priority? In addition to there are 28 home page clickable options. Overall Poor Design. What gives this site away is the use of backgrounds and gradients. Back in early 2000 these were all the rage. We have gradients in the main navigation tabs, gradient site background, gradient scrolling text background, main header pattern background and finally we have pattern backgrounds behind some of the home page center boxes. It all adds up to _________. You can fill in the blank. A better option would be to utilized the most popular flat design style which is clean, uncluttered and the gold standard among industry design professionals. Last and Final Pet Peeve. When was the last time you were on a reputable company website and you saw a banner ad? 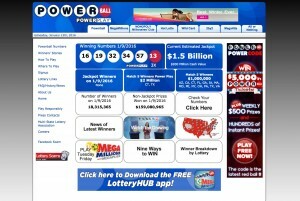 Why does powerball.com need advertising revenue of their website. Crazy. There is so much more I could add to the list. But I think the major points above should get the point across. Good luck to all that will be in tonight’s drawing. Feel free to share you thoughts. Benjamin Moore recently unveiled its 2016 color of the year: Simply White. An Architectural Digest article on the subject described Simply White as “the shade that captures today’s spirit of polished minimalism”. As I read the article I began to think about the effects of white and white space on a website. In the world of media and clutter, one welcomes a calm place in which to rest our eyes and focus. Remember sites with bold patterned backgrounds, white text on black, blinking icons and beveled and embossed fonts? Today’s most professional and elegant sites embrace “the spirit of polished minimalism” and let their message and product images take center stage. White space is an essential active element of website design and is responsible for readability and content hierarchy. 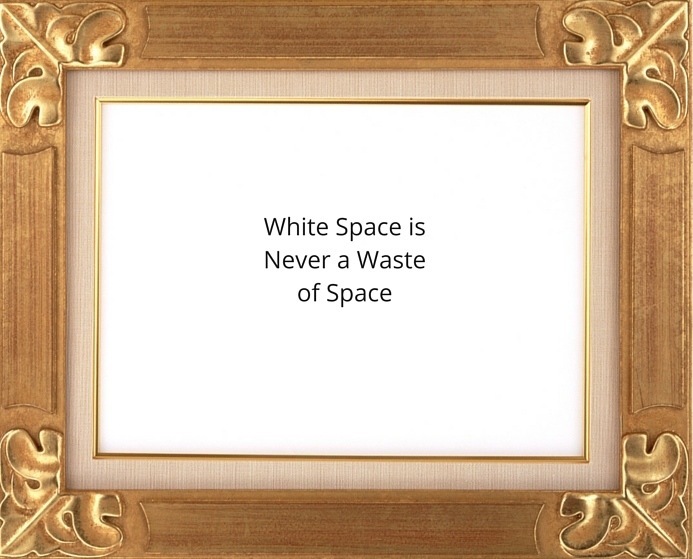 White space is not wasted space. White is clean, polished and professional. There is nothing like a crisp white shirt or a fluffy white spa towel. White is not trendy, it goes with everything and when used as the dominant color makes you feel relaxed and fresh. White space creates a feeling of sophistication and elegance. 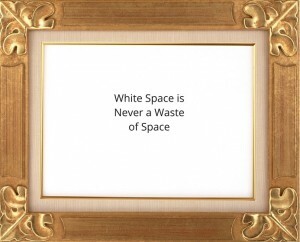 The correct amount of white space on a website can contribute to your brand positioning. 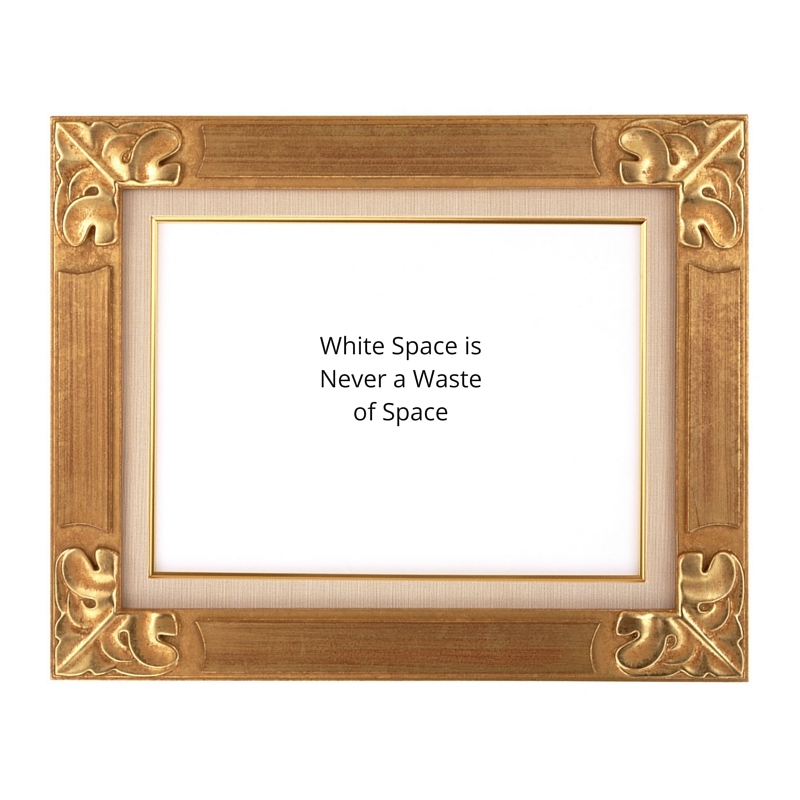 Similar to the way white walls frame a piece of artwork, white space and a white backgrounds on a website can frame your message. Your slider images, your bold deep blue headlines and purposeful colorful icons will help your visitors stay focused, relaxed and feel organized while on your site. Give your website visitors a break from visual overload and go Simply White. Can You Still Generate New Business with a Poorly Designed Website? If you are reading this you might be one of those companies whose website is five or more years old. So much has changed in five years. Just think of the cell phone you were using five years ago. Many B2B companies have neglected their website through the years, due to budget constraints, lack of focus and lack of a website content management system. Once everyone in the company agrees how bad the site is they don’t even want to touch it and often don’t even promote it. They just pretend it’s not there. Thanks to a strong mobile marketplace, websites are now getting the attention they deserve. Especially since Google announced in April of 2015 that search results on mobile devices would favor mobile friendly websites. The goals of any website is to convert visitors into customers. The factors below play an important role in getting your phone to ring or NOT. Old News – Most recent news article is dated 2013 Company is not progressive and dynamic. Nothing new, no innovation, no new ideas and just plain stale. Imagine what a professional, clean and mobile friendly site can do to add credibility to your organization and showcase your capabilities. How different the user experience will be and perhaps how your phone might starting ringing. Perhaps it’s time to get started. Making your website more engaging and effective can increase viewer engagement and turn website visitors into leads, prospects and customers. When looking to increase business from a website we often think in terms of increasing traffic. But increasing traffic may not be the answer. It is easier to increase your website conversions than to increase traffic. A conversion is the act of a website visitor performing a measured goal on your website. A conversion can be a sale, inquiry form completion, quote request completion, newsletter sign-up, white paper down load, etc. The conversion rate is the number of people who have completed a measurable action divided by the total number of website visitors. For example, if 1,000 people visited your web site and 15 people completed your inquiry form, then the conversion rate would be 1.5%. You can set up Google Conversion Tracking in your Google Analytics. Conversion rates are the ideal way to measure how your website is performing. Your site must be mobile friendly. 30% will be viewing your website on a mobile device. Test your site at http://google.com/webmasters/tools/mobile-friendly. If it does not pass the test you need to take action. Don’t waste your home page value space on “Welcome” or irrelevant images. Answer the question “Why buy” and “What’s in it for me”. Obvious, but worth mentioning, your phone number should be prominent in both header and footer. Third party citations, testimonials, articles published. Photos that convey trust and expertise, team pictures, location photos, awards, etc. 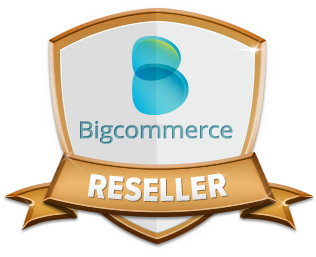 Credibility symbols, licenses, certifications, reseller, authorized dealer, etc. You want to keep website visitors focused on a single action (conversion). You might want to eliminate some pages. Review Google Analytics Behavior – Site Content reports and remove pages that are not engaging and viewed. Be clear and concise and remove images without meaning. 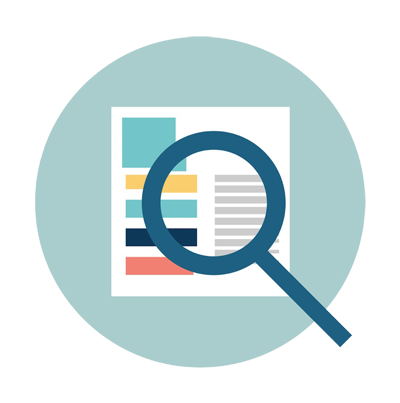 Everyone is so busy – display page content in easy to read format with headings, sub-heads and bulleted lists. About Us is one of the most important and most read pages. Make sure on your home page the geography that you service is clearly displayed. Engage your network in social media- but bring them back to your website. Building your brand and your content on your own domain increases exposure and search engine ranking. Put the tease copy on Facebook – “Learn the 5 secrets to”, “Get 10% OFF”, “Get the Code”, etc and then let them click to get the info on your website. Now it’s time to take action. First, make sure you have Google Conversion Tracking set up on your website. Select two or three items from the list and start making changes that will have long lasting impact. Too busy? Let BZA assist you. M Teixeira Soapstone offers one of the largest collections of soapstone products available in the United States. Their online presence supports their three locations, New Jersey, Denver and San Francisco. They offer soapstone slabs and fabrication along with products like soapstone sinks, tile and kitchenware. With the continued growth of their business it was time to refresh their web presence with a new responsive design and mobile friendly website. M Teixeira Soapstone has been a long time client of BZA since the early 2000’s. Their last website served them well through the years, but it was time to redesign the site and give it large visual impact. 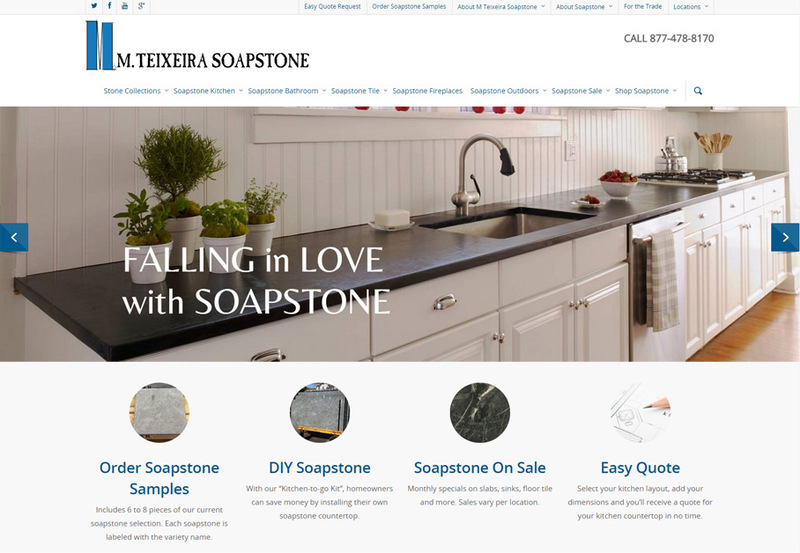 BZA worked with M Teixeira Soapstone to develop a fully customized Responsive Design website that would include a content management system, quote request form, video, integrated e-commerce and a comprehensive photo gallery . Keeping the visitor experience in mind, the site is well organized with ease of navigation with a professional clean branding. BZA provided personalized WordPress training for the M Teixeira Soapstone staff. 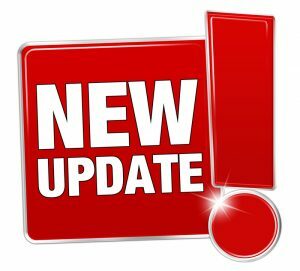 Utilizing the administrative dashboard their staff can now update page content, product images, monthly sales, news and more. BZA developed the site utilizing the popular WordPress platform with Responsive Website Design. M Teixeira Soapstone now provides website visitors the optimal viewing experience to all users, regardless of their device. These devices include smart phones, tablets and mini-tablets. Panurgy, New Jersey based information technology service provider, tasked BZA to design a new website that provided a positive experience for Panurgy’s visitors. They also wanted to leverage social media, promote their events and be able to easily update the site. The result is an elegant, clean and professional site that strengthens Panurgy’s brand image. 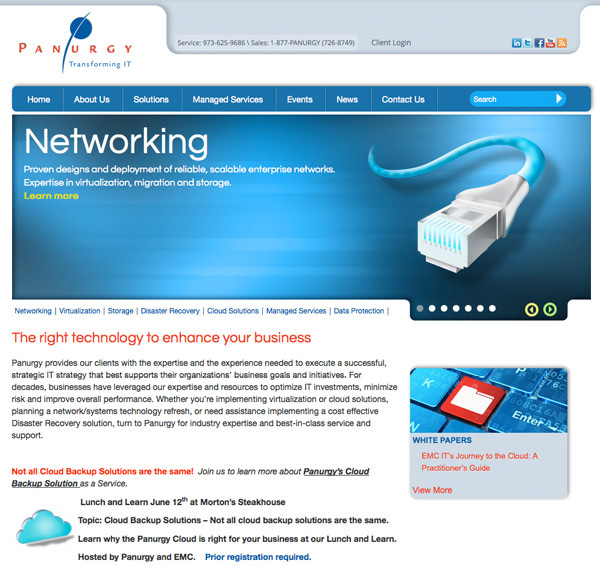 The home page features a custom slider animation that highlights Panurgy’s seven core IT services. BZA designed custom illustrations that highlight these services in a creative manner. Panurgy is also utilizing these icons in their printed collateral. The website is built with the WordPress platform and features a news blog, events plugin, social sharing widget, e-mail newsletter sign-up, site search, client log-in, inquiry request form and more. You can visit the site at Panurgy.com.